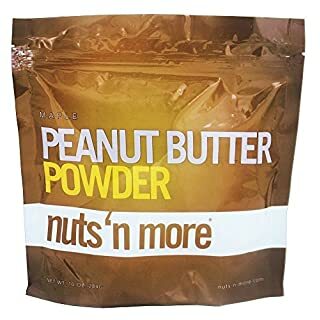 Our latest addition to the ever popular nuts 'n more Peanut Butter Powder range. Yummy Maple flavoured Peanut Butter Powder. 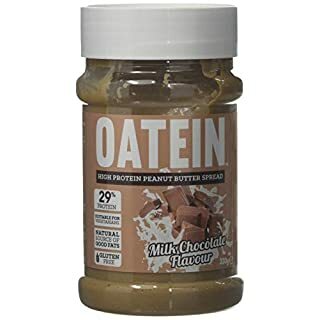 Great to make peanut butter, added to shakes or used in baking! Give it a shot - you won't regret it! 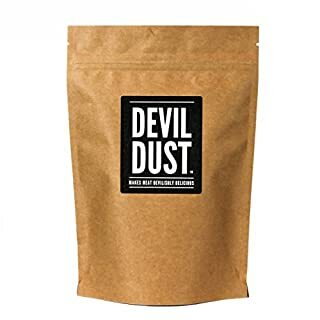 DEVIL DUST - EXTRA SPICY SEASONING & BBQ RUB Devil Dust adds extraordinary flavour to all kinds of cooking, with a devilishly delicious chilli kick! If you love spicy food, Devil Dust is the perfect mix of heatand flavour, to satisfy your chilli cravings. Delicious with almost anything, try it on steak, chicken, ribs,or even potato wedges. Before cooking, rub, sprinkle or load on as much Devil Dustas you dare! 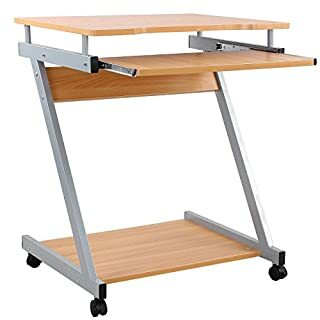 How much can you handle? ★ HOW TO USE DEVIL DUST? ★ Wherever you use chilli, you can use Devil Dust to turn upthe heat and add a boost of flavour. Try adding it to: • Pulled Pork • Firey chicken fajitas • Extra Hot Chilli con carne • Beef or Chicken Burgers • Sweet potato or regular fries • Roast Meats ✔ Highest Quality IngredientsDevil Dust contains only the highest quality herbs and spices, sourced responsibly from around the world. GMO Free and non-irradiated, and carefully packed for amazing flavour. ✔ Blended & Packed with in the UKWe're proud to say that our spice mixes are 100%blended and packed in the UK, supporting local business. ALLERGIES Contains Mustard. Cannot guarantee nut free. INGREDIENTS:Hot Paprika, Chilli Powder, Cayenne Pepper, Garlic, Cumin,Pink Salt, Light Muscovado Sugar, Black Pepper, Mustard. WHY NOT TRY ALL THE NIFTY KITCHEN BLENDS? MAGIC DUST adds an amazing depth of flavour and spices uppractically any dish, with a spicy kick. SMOKE DUST adds a delicious mild and smoky flavour thewhole family will love. 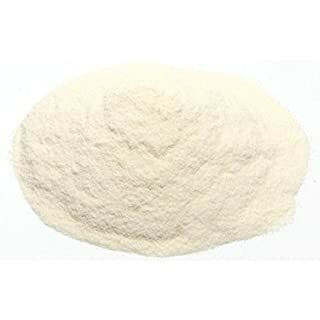 PINK SUN Pure Spirulina Powder is a microalgae cyanobacterium of the Arthrospira Platensis variety. This easily absorbed nutrient rich algae provides 60-70% protein. PINK SUN Pure Spirulina powder and tablets are produced in a natural wilderness on the Mongolian Plateau, an area with plentiful sunlight for photosynthesis and chlorophyll production. This isolated desert environment with natural soda lakes provides nutrient rich ground water which is pumped from 500m below the ground and is an excellent source of clean fresh water for growing nutrient rich algae. Every batch of Pure Spirulina is tested for heavy metals, microcystins and PAH's including benzopyrene, so that PINK SUN spirulina products remain clean and pure and of the highest quality. 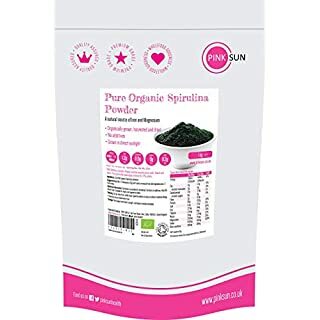 To protect the nutritional value, PINK SUN pure organic spirulina powder has not been deodorised and maintains the distinctive spirulina smell characteristic of high quality protein components.Strict organic monitoring is in place ensuring the products' organic integrity and compliance with EU organic standards. 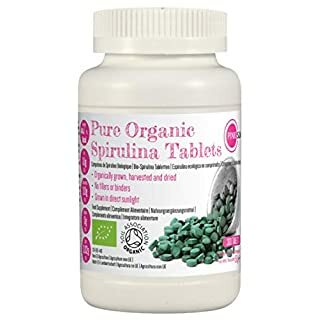 Ingredients: 100% pure certified organic Spirulina Platensis, contains no fillers or binders, Non GM. Suitable for vegans and vegetarians. 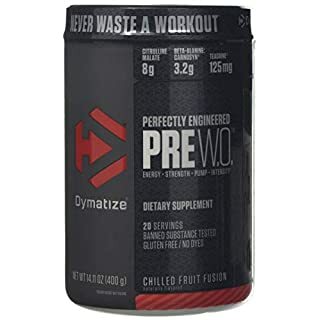 Contains Chlorophyll 1600mg; Beta-carotine 160mg. 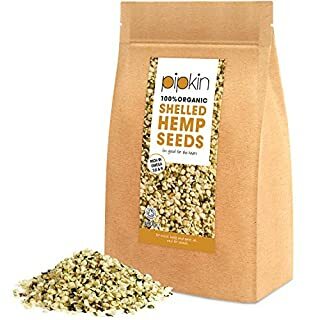 PINK SUN Ltd are licensed by the Soil Association (DA22232) and provide top quality certified organic products such as raw organic extra virgin coconut oil, organic almond flour, organic coconut flour, organic whey protein powder, natural sweeteners, nuts and more! PINK SUN Pure Spirulina tablets consist of microalgae cyanobacterium of the Arthrospira Platensis variety. This easily absorbed nutrient rich algae provides 60-70% protein. PINK SUN Pure Spirulina is grown on an organic spirulina farm, in a natural wilderness on the Mongolian Plateau, an area with plentiful sunlight for photosynthesis and chlorophyll production. This isolated desert environment with natural soda lakes provides nutrient rich ground water which is pumped from 500m below the ground and is an excellent source of clean fresh water for growing nutrient rich algae. Every batch of Pure Spirulina and Pure Chlorella Gold is tested for heavy metals, microcystins and PAH's including benzopyrene, so that both PINK SUN organic spirulina and organic chlorella products remain clean and pure and of the highest quality.Strict organic monitoring is in place ensuring the products' organic integrity and compliance with EU organic standards. Ingredients: 100% pure certified organic Spirulina Platensis, contains no fillers or binders, Non GM. Suitable for vegans and vegetarians. Contains Chlorophyll 1600mg; Beta-carotine 160mg. 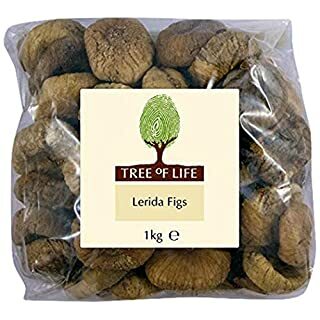 PINK SUN Ltd are licensed by the Soil Association (DA22232) and provide top quality certified organic products such as raw organic cacao powder, organic almond flour, organic coconut flour, organic whey protein powder, organic coconut cream, natural sweeteners, nuts and more! 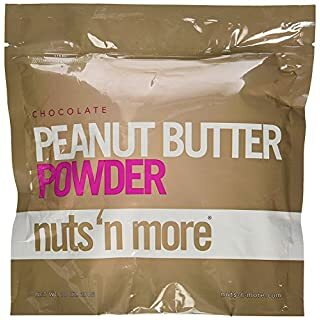 PB&Me Chocolate Powdered Almond Butter is made from premium almonds and cocoa. 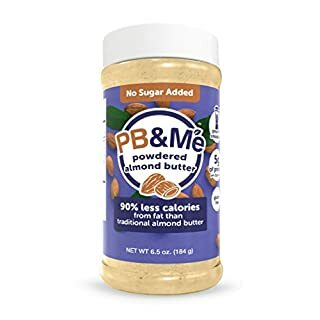 PB&Me products contain 90% less calories from fat than traditional almond spreads, at only 25 calories per tablespoon! PB&Me Natural has very high protein content with upwards of 6g of protein per serving, not to mention it is paleo and vegan friendly! Enjoy PB&Me guilt-free in your smoothies & shakes, as a spread, or use it as a baking ingredient in your favorite recipes. 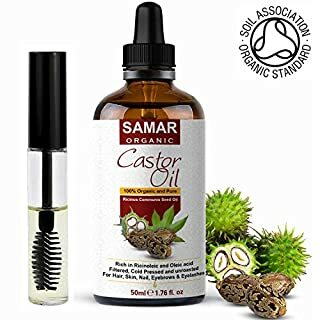 100% Pure and Organic Castor Oil. Here's a great storage solution from OXO's Good Grips in range. 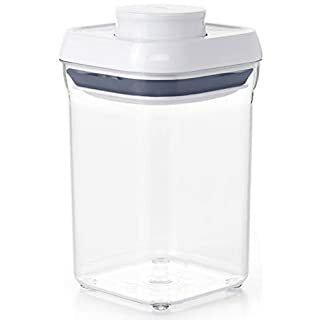 With its square shape, this Pop' container is stackable and space-efficient, with handy push-button mechanism that instantly creates an airtight seal. 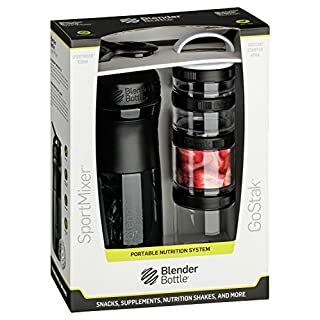 With 300ml capacity, this useful container can be used again and again. When you're trying to scoop out ice for cocktails or small finger foods like candies and nuts, spoons just aren't practical and ladles are just as awkward. That's why every home and business needs a set of these scoops, which make everything from ice to sweets so simple to serve.These scoops have an extra large capacity to greatly simplify serving, making them the best choice for any home or food service business.Sold in a set of fiveConstructed from aluminium for durabilityPolished for a clean, professional lookUse for scooping crushed and cubed ice, bulk nuts and candies, sundae toppings, flour, sugar and moreExtra large 5oz. capacity; Scoops 3 to 4 standard ice cubes at a timeWith handle the scoops measures 9cm in length overallScoop bowl dimensions are 12cm in length by 6cm in widthGift boxed for wedding presents, housewarming gifts and moreScoop up ice, candies and other goodies with the utmost of ease and in the most sanitary way possible. 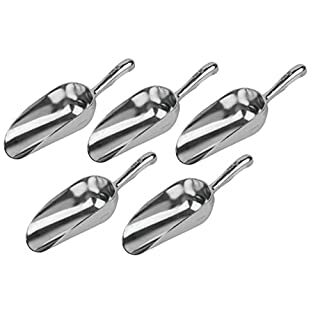 Order this set of five ice scoops and sweets scoops today! 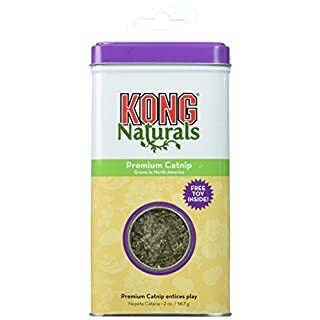 KONG Premium Catnip 2 oz/56.7g. KONG Naturals Premium Catnip is North American grown catnip of the highest quality. KONG catnip is harvested at the peak of its flavor color and fragrance and field-dried. KONGs premium leaf and flower cut gives you minimal stems and seeds and more of the essential oils that cause a reaction in most cats. Use as a stand-alone treat or in KONG refillable catnip toys. KONG Naturals are ecologically responsible cat products. All ingredients and oils come from natural renewable resources. The ideal way to get your kids out and about. The Banana Bike's lightweight design makes it perfect for small kids to power along for long distances, it's also easy for grown ups to carry. The puncture proof tyres, mean you never have to worry about inflating these tyres. The eye popping colours and unique design make the banana bike stand out from the crowd. Balance bikes are superior for your 2-4 year old than any other form of transport. Unlike pedal bikes, this bike is ultra-light, kids can go for longer and faster than with pedals, plus there's no stabilisers to slow them down. 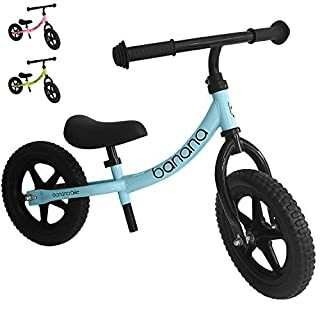 Whilst kids get tired quickly on scooters, sitting down on this balance bike will allow your little one to go on and on. 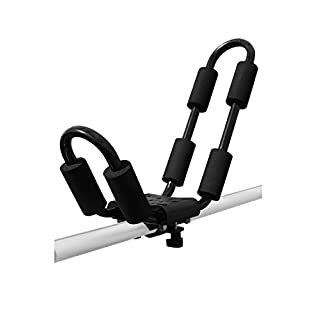 The bike requires simple assembly, with the tools provided, simply attach the wheels, handle bars and seat.